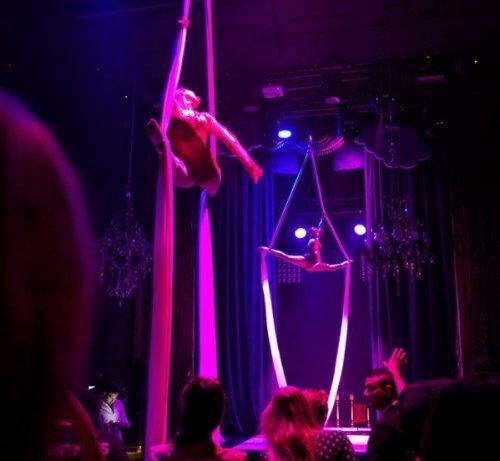 Add a unique and unforgettable spectacular aerial act to your event! This romantic and poetic aerial hoop act is highly suitable for weddings, galas but is also a great choice for corporate entertainment. It also adds a refreshing and spectacular highlight to corporate events, such as conferences or product launches. 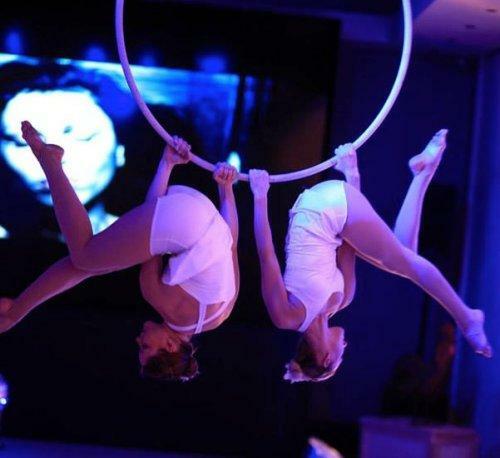 Two girls are gracefully swinging and spinning in a hoop, displaying strength and flexibility while spellbinding their audience. The act lasts for approximately 5 minutes.